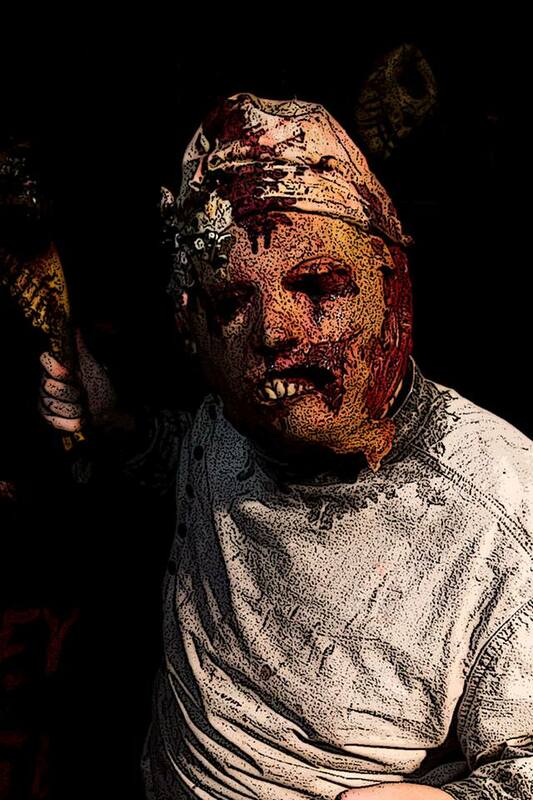 Haunted Hills Hospital is a Haunted Attraction located in Lake Station, IN. 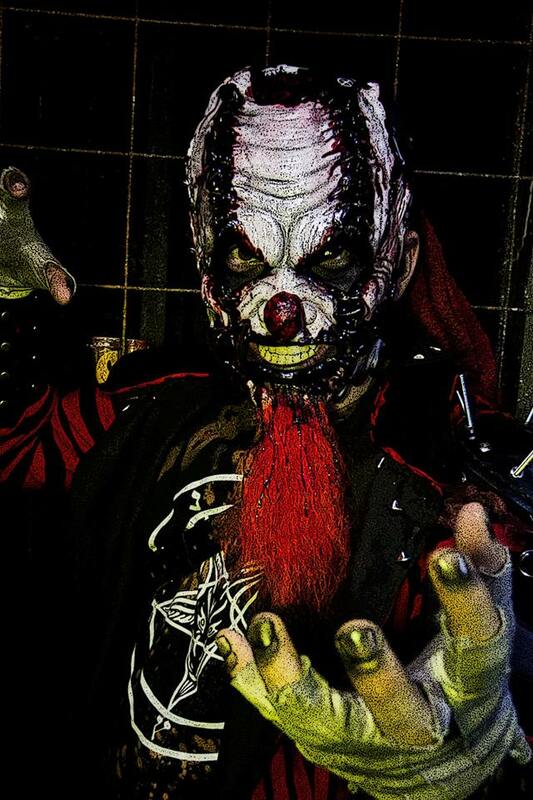 Team White City Devils reviewed this Haunted Attraction on October 5, 2018. Just east of Chicago past the Indiana border lies a hidden gem of a haunt. 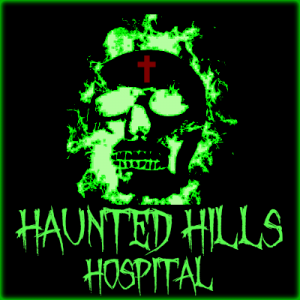 Haunted Hills Hospital (HHH) is an actor-driven haunt that uses some creative effects and uses its space well. HHH has called Chicago out for a challenge, asking us to leave the comfort of our city lights and find what hides in the darkness that awaits across the border in what can only be described as “Hell in a box.” We decided to answer the call and were stunned at all we encountered. The cast at HHH is one well worth visiting. Considering this is a volunteer haunt, the actors are still well trained and care about what they do. Everyone involved is of high energy and they do not let up. 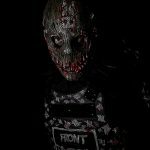 The haunt is themed as a mental facility and it was surprising how some of the actors really looked messed up. Their acting led to a very convincing setting altogether. Most noticeable was one woman in a wheelchair that was smacking herself in the head and screaming for her meds saying, “The voices in my head are too much!” She was then wheeled away from us and just shoved against the wall by another woman claiming to be the doctor around here and told us to ignore the patients as, “They have something severely wrong with them.” The Doctor then turned around and started screaming by the nurse’s window to receive her own medication. This was the start of having trust issues here, as we couldn’t tell if someone dressed as a doctor was supposed to be a doctor, or if they had possibly left a body behind just to take and wear their victims’ clothes. We ran into some of Hills Hospital’s most notorious patients throughout our tour. Reaper and J.A.X. 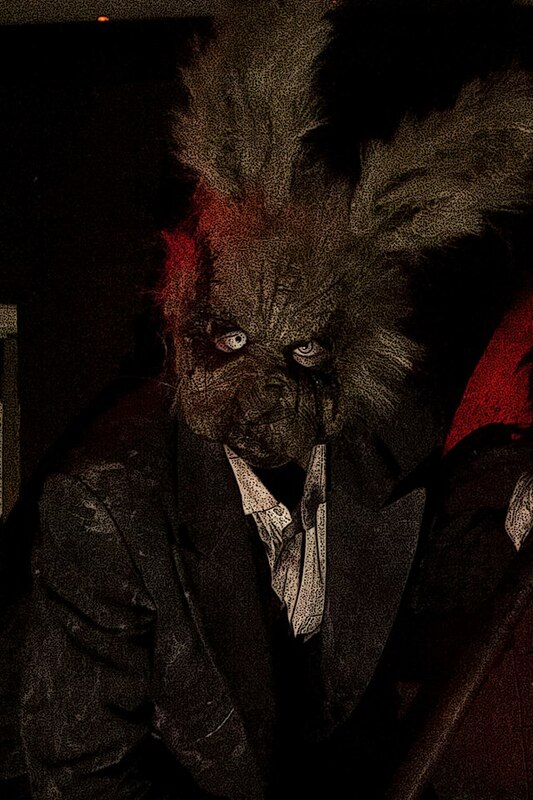 were posted in the waiting line bringing fear to anyone who dared to cross their way, Bunny was disturbed, to say the least, and Dr. Cropsey had put on a show we can say we have yet to see anywhere else. We will get into more about what he made us watch him do in different sections of the review. Not only did the actors of HHH seem believable on their acting skills, but the costuming was fitting for the theme. Simplicity worked well here as most of the patients were, of course, dressed as patients in hospital gowns or scrubs. Most of the faces of the patients had light makeup to give them a depth of dirty/bloody look. We did notice a few masks in play, and they really were of great quality. When walking down a shower hall scene, the red lighting let us just make out the nurse standing at the end of the hall bending all sorts of backwards and having a crooked walk. Her face was ripped up and covered in gauze and it gave her a look like some sort of creature without a face. We happened to glance to either side and behind the shower curtains were two more of them! It was a creepy scene and easily became over the top with extra effects used in the room such as the bathtubs filled with body parts (both inner and outer). These things led to a disturbing scene overall. More of the detailed costuming would be from the more noted patients from HHH. Dr. Cropsey had one of the crazier masks we have seen. It had practically looked as if he was wearing the faces of all his victims. 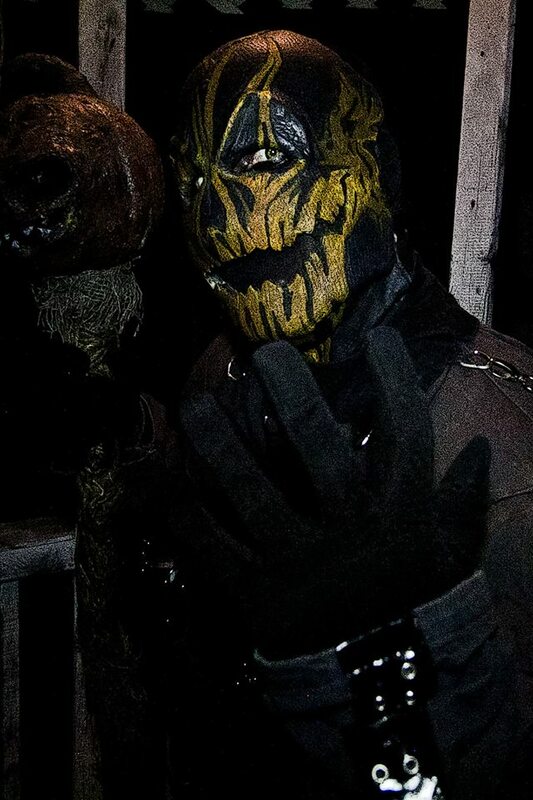 All the costuming was appropriate for the theme of the haunt and gave more to the overall scare factor. HHH was very easy to find. Heading up from Chicago, we took I-94 east until we reached US-6, and it’s only a short drive from there. Official parking (free) is just two blocks away at a local school. They hired off duty police to direct traffic and even watch the lot to protect guests’ cars. The haunt itself was easy to spot with a giant banner on the side of the building. Accompanied by music blasting in the parking lot, vendors, and the ticket booth, we knew we had made it to HHH. 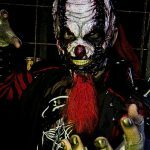 All information is listed on their website and is easy to access, including dates (both regular haunts and special dates), times, ticket prices, and ticket purchases (one can, of course, purchase at the ticket booth for the same price). The staff is all family, so we really got a sense of everyone having a great time and loving what they were doing. The vendors are all from local restaurants and shows that the haunt itself is being a big part of the small community to help promote local business. Once inside for the “you’re up next” line, the atmosphere was essentially the hospital. They had a few more patients roaming just out of reach of us, but close enough to jump at us quickly. A small TV played old horror movie trailers and gave the feel of a waiting room, as if we were waiting to be called to visit the chaotic and mental patients of HHH. The vibe we got out of this setting was unsettling and gave us a good idea of what was to come. 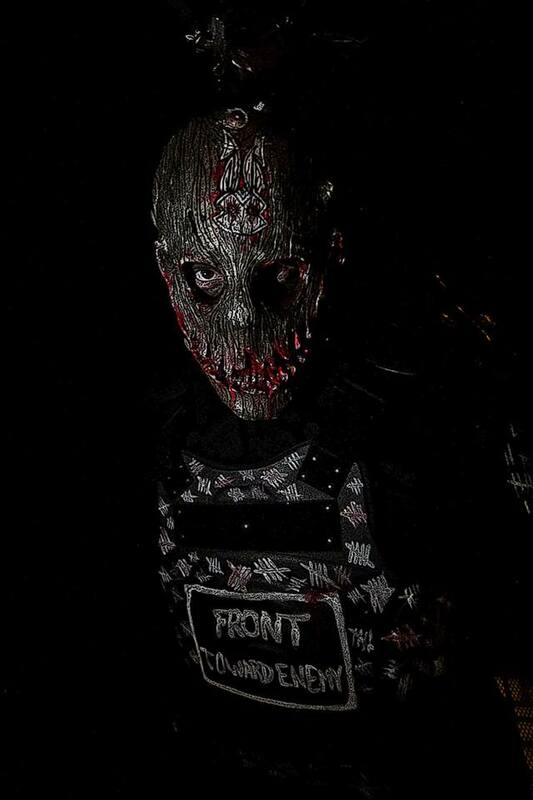 For being a family-owned haunt, HHH has come a way over the years with their effects. 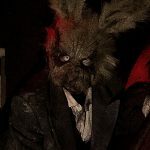 They don’t rely heavy on animatronics or the over-the-top visuals, but have a definite old-school haunt vibe, mixed with some great creativity. *Spoiler* Getting back to Dr. Cropsey and what he had us watch was an awesome effect. When entering his scene, he pulled a door back so we wouldn’t be able to pass. The doctor had a person strapped to a chair who was struggling while Dr. Cropsey had some surgical scissors going underneath the victims face. Laughing about it, Dr. Cropsey said “looks like you won’t need this!” as he proceeded to rip the victims face right off, leaving a bloody mess behind and bare flesh. It was a well-delivered effect and did a great job on keeping a realistic vision of itself. The scenes throughout the haunt did lead us to believe we were in a mental institute that was taken over by its disturbed patients. They had everything from bunk rooms, restrooms, surgery rooms, and just about everything else you can find at any hospital. All the creativity and details of each scene shined throughout each room and showed there was much thought behind every move. The theme of HHH is straightforward and easy to read. It also plays throughout the entire haunt and is all one entire trip throughout. Hills Hospital was a place where the country sent all of the extremely deranged and disturbed beings that local hospitals refused to take in. After countless abusive and experimental procedures that did nothing to help, the patients had enough and killed all the staff from their wards plus any other people in sight. During the breakout, the patients discovered Ward H, a wing of the hospital where the most brutal and unimaginable experiments took place. We, as customers, have the pleasure of walking through the hospital during what seems to be the break out and get to view the bloody aftermath. HHH has a very creative storyline and built on this theme to amp up a straightforward, old-school haunt. Being such an actor-driven haunt with so many cast members, it was difficult to find any dead spots anywhere, leaving us surrounded by a crazy group of people well within arm’s reach. We were surrounded by patients at every turn and they did not let up whatsoever. Our group had multiple times we were scared in many different scenes because we were all targeted at different points. Many of the scares consisted of screams and growlers, but when we did come across a different variety, they shined more than the rest. 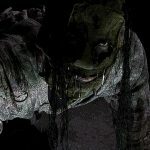 When we were walking through the experiment rooms, there was a patient on the table laughing hysterically while her whole-body cavity was opened, exposing all the guts and gore. All the while, the doctor was just slowly removing what looked to be an intestine and laughing while doing it. The whole ordeal was very detailed and scary and we were amazed by how realistic all the gruesomeness felt. 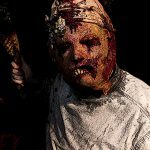 The cast did a great job on keeping up with high energy throughout the haunt and still had enough energy to chase running groups out into the parking lot! It was admittedly a surprising conclusion for us, knowing it’s a volunteer/family-based haunt, as we have been to our share of community/volunteer haunts that didn’t deliver very well. This is not the case at HHH. THEY DELIVERED. Tickets can be purchased ahead of time on their website and are very reasonably priced. General Admission is $15, and VIP is $25. You also have the option of a VIP INSANITY pass for $30 (This is the option we purchased). This includes the VIP fast pass, a T-shirt, and a small loot bag. Having the fast pass was worth every extra cent as lines can be long. When we arrived earlier into the night, there was already a good number of cars parked and a line for general admission. With our fast pass, we waited a total of no more than 10 minutes. If one would consider purchasing the fast pass, I couldn’t see any reason to not spend an extra $5 and get an awesome T-shirt. 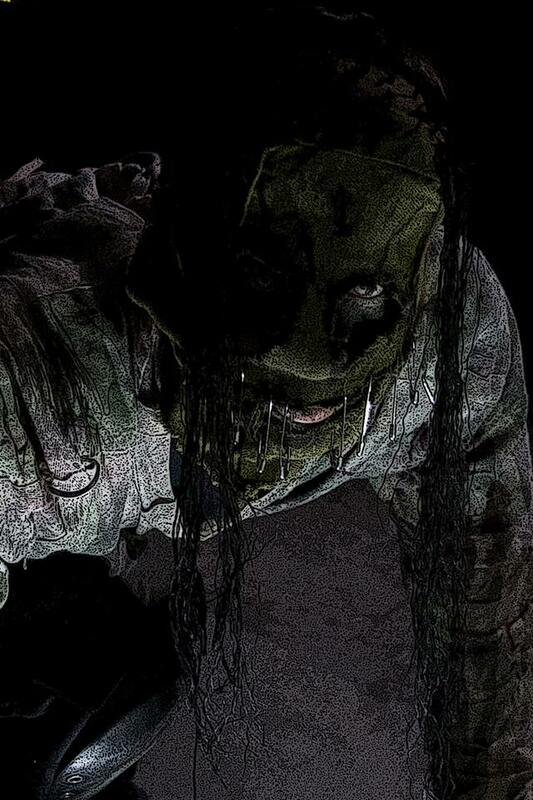 HHH offers regular haunts throughout the season as well as blackout nights and kid’s days. Kids trick-or-treat days is something only a few haunts offer, but is very fun. 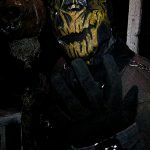 They turn on all the lights and make it more kid friendly by giving actors nice roles and friendly makeup so the curious little ones can have a go inside a haunted house. HHH is also taking a stab at offering off-season events (Christmas, Valentines, and even St Patrick’s). Our walkthrough time was 21:31, giving HHH a 1.42 as our MPD (minutes of entertainment received per dollar spent) value for a general price. This is an above-average rate from what we are used to in Chicago and is well worth the visit from our city. We were kept very entertained, scared, and forgot we were in a haunted house at times by how real some of the scenes felt. 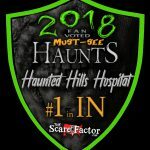 If any readers have a goal of hitting up at least one “old school” vibe haunt (with some great modern day tricks), we can’t think of a more worthy place to attend than Haunted Hills Hospital! I loved the newer updated design they did! I highly recommend going!!! We got scared multiple times …show more and it was well worth it!! What a great opening night! 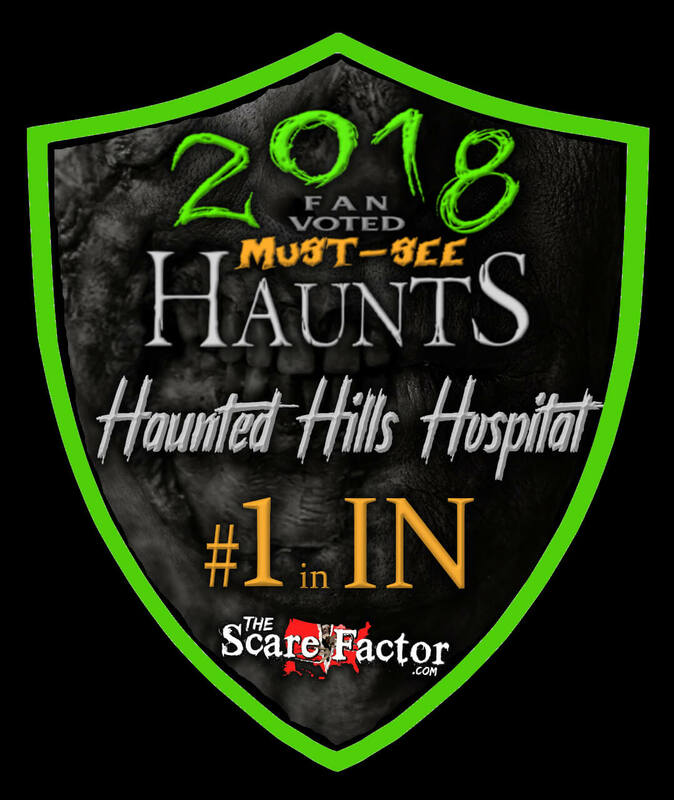 Haunted Hills Hospital is always scary but this year they really took it …show more up a notch! They had my screaming and jumping left and right! This is probably the most craziest and scariest haunt I have EVER been to.